Baseball players around the world are constantly in search of the best bats to jack up their game. Each player strives to get the best features of a bat, within a reasonable price range. Understanding the needs of each player and the type of game that they wish to play, manufacturers introduce numerous varieties of baseball bats in the market every year. Drop 3 bats belong to the BBCOR qualification standard which is used by high school and college baseball teams to keep standards at a similar level for all players and to ensure the safety of players. We start off this list with a Marucci BBCOR bat, which is an amazing bat with all the bells and whistles you would expect from an exceptional company. 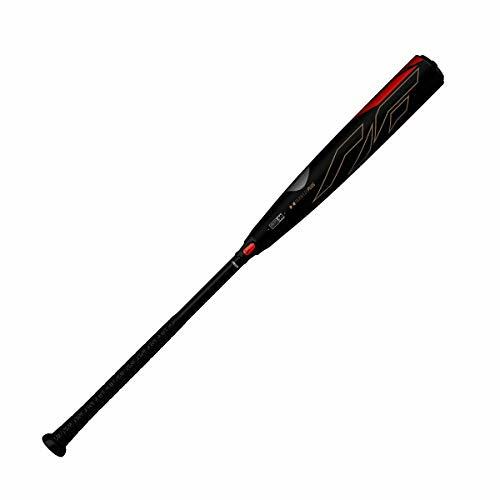 The Cat8 BBCOR bat is a one-piece alloy bat that is constructed with AZ105 super strength aluminum. This material allows for a thinner cylinder wall which will offer a much higher response rate and give you a bat that is beyond durable. The barrel is constructed ring free, so you have more barrel flex, and this type of construction gives no dead spots. The handle is professionally inspired with a removable taper. The knob is ergonomic and features 2nd Generation AV2 anti-vibration technology for a finely tuned harmonic dampening system that keeps negative feedback to an absolute minimum. With a perfect balance between the precision balanced barrel and a micro-perforated soft touch grip, you get a lower MOI and that perfect balanced feel for precision and control in your swings. The Cat8 BBCOR bat is available in 6 different lengths from 30 inches to 34 inches and can be ordered with dozens of varying grip designs. Easton bats are no stranger to decent hard swinging bats. The Mako Beast will add that bit of growl needed to smash the ball when needed. The Mako Beast combines the longest two-piece composite barrel with an exceedingly fast swing weight to deliver power to that sweet spot. TCT Thermo Composite Technology is used in construction to extend the length of the barrel and yet still provide unmatched swing speeds. Easton uses a patented two-piece ConneXion technology that will provide maximum energy transfer from your swing, right into the ball. The composite handle is covered in a cushioned Hyperskin Grip to give maximum comfort, and an enhanced grip gives full stability and feel on any type of ball contact. The Mako Beast is available in three different lengths, 30 inches to 32 inches. If you are ready to unleash the beast, then this is one of the most powerful composite barrel bats Easton has ever made. 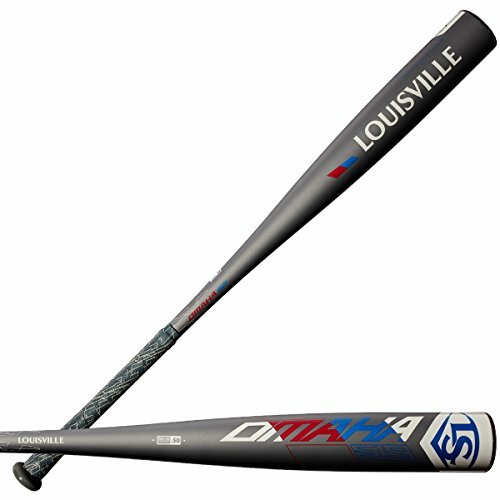 If you are looking for unparalleled balance and control when at the plate then this Louisville Slugger Omaha 519 is an outstanding all-around bat to use. Constructed from a one-piece ST 7UI+ alloy construction, this bat gives you an enormous sweet spot and will give you a stiff clang on contact with the ball. The end cap is a unique six-star design that helps to provide an easy to swing bat that will be capable of doing damage upon connection. The Omaha 519 has a decent MOI on each of their lengths for that balanced swing feel no matter what you decide is the right length for you. The handle is constructed using a new Vibextm premium damping design that will reduce sting on those solid hits. The LS PRO comfort grip is the perfect mix of hand tack to ensure control and cushion for comfort with each swing. The Omaha 519 comes in six different bat lengths from 29 inches to 34 inches in length helping to make this one of our best drop 3 baseball bats. 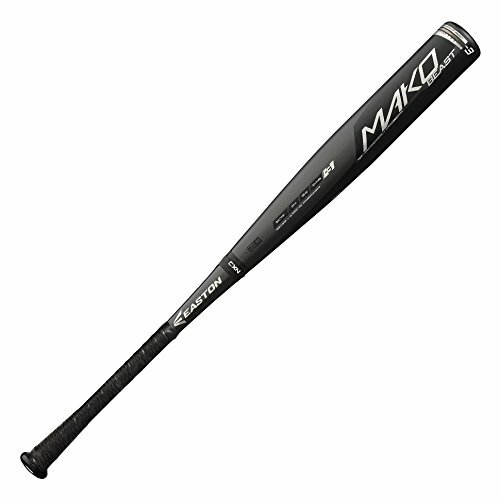 You will find this bat is the perfect combination of speed and power to make for perfect hits. The Z-CORE HMX is a decent bat that focuses on Swing Weight Index to be sure you are using the right bat for just the right amount of swing needed for those great hits. Z-CORE uses an advanced barrel core tech that is combined with HMX Hyperlite Matrix alloy to deliver the longest aluminum barrels possible. The TORQ handle technology helps to amplify your power by helping hitters to stay inside the ball, You get a more squared up power to your hits delivering more ping with each swing. The Z_CORE HMX TORQ bats come in three bat sizes from 32 inches to 34 inches in length, giving you a decent swing weight ratio for each length to help deliver tons of power through blazing fast swing speeds. 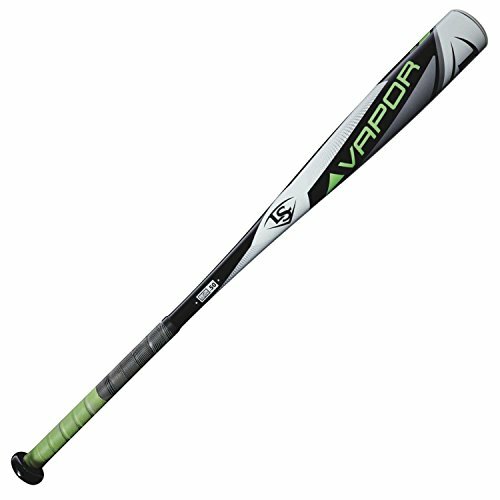 The VooDoo VDC13 is a bat from 2013, but that does not rule out the fact that it is an excellent bat for those heavy hits. The VDC13 features a hybrid design construction with an X10 alloy barrel that has finely tuned walls and a barrel with optimal strength to give players a massive sweet spot. The bat has an Ion V end cap with multiple layers to it to ensure the barrel is rigid and is efficient at transferring energy from the barrel directly to the ball. The handle has a TR3 F.L.O. (Fused Layer Optimized) Composite build that offers enhanced strength and a much lighter swing rate. This is a random fusing of carbon fibers to create a more compact carbon to ensure a stronger but lighter bat. DeMarini uses a Taper Ring technology to make the bat as mean on the inside as it looks on the outside. Critical placement of this ring helps it to provide a monstrous pop and still meet all of BBCOR standards. The ring is placed closer to the handle to decrease swing weight and enhance that coveted sweet spot. This bat has been the bat of choice with many elite college players and is as relevant today as it was in 2013. The BB17ZH delivers a bat ready to amplify your power with this member of the BBCOR Power Brigade. Comprised of Easton’s Hyperlite Matrix Alloy and the Z-CORE internal technology, this barrel will give you the biggest sweet spot and one of the longest of barrels in baseball. A patented 2-piece ConneXion technology keeps the handle isolated from the barrel, ensuring maximum transfer of energy and keeping vibration to a minimum. The handle uses a SIC black carbon composite material that keeps the handle strong and then further eliminating vibration for that fully optimized feel with every swing. The handle is further wrapped in Hyperskin Grip for just the right amount of tack and a soft feel. Easton makes sure their bats have just the right swing weight index with each of their bats so that no matter what length you choose, you are getting the right bat for that maximum amount of pop. The Prime 919 is the ultimate hitting machine and the most popular Slugger bat in the BBCOR lineup. The barrel is made from a two-piece composite MicroForm that is designed for a light swing weight and to give maximum pop. The RTX end cap will help to give a longer barrel shape and bring out that sweet spot. Between the barrel and the handle is the VCX technology that allows for independent movement between the handle and the barrel and then controls the vibration that is felt in the handle, providing confidence and a lack of fear of hand sting on miss-hit balls. The LS PRO Comfort Grip gives just the right balance of grip and cushioning to help you through your swing and keeping each swing on point. 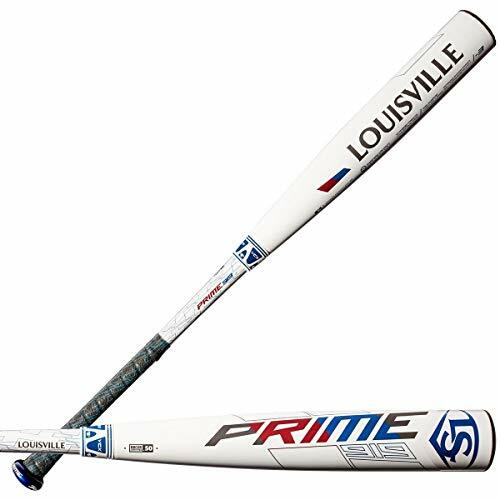 The Prime 919 is available in 4 different lengths, from 31 inches to 34 inches and uses a balanced swing weight for maximum power on contact with the ball. The CF Zen Balanced will shatter your expectations with this new bat for 2019. 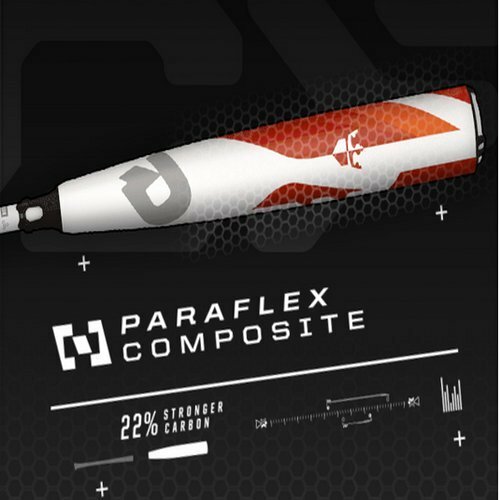 DeMarini uses a new Paraflex+ Composite on their barrel that is cured for consistency. The barrel is exposed to the perfect amount of temperature for the perfect amount of time to ensure a barrel that is dependable and responsive with every swing. That is equipped with a 3Fusion End Cap that reduces the weight at the tip of the bat, bringing the MOI closer to the center for more balanced swings. The handle also uses the Paraflex+ composite that makes the handle more streamlined and has better weight distribution. The handle is covered in a D-Tak grip to give you maximum hand control with just the right amount of tackiness to ensure a great swing each and every time. DeMarini has done everything possible in the pursuit of performance and perfection, and the CF Zen is one of the best performing, most consistent bats ever produced. Technical, Powerful, and Supernatural. The Ghost-X is one of the most powerful composite bats in the game. The barrel is designed using the new Dynamic Feel System, delivering one of the best feeling bats on every swing. Constructed using Easton’s Exact Advance Carbon Technology to help keep swing weights as low as possible. An X-Tended Barrel design creates some of the most massive sweet spots in the game. The handle and the barrel are separated by the Connection+ technology to keep vibrations away from hands but to still ensure a great sense of feel through your swings. The 2018 model of the CF Zen Balanced differs only slightly from the aforementioned 2019 model. This bat uses patented Paraflex Composite material in the barrel to help engineers distribute the weight of the bat for that perfect swing feel without losing any of the pop. Adorned with a 3Fusion end cap to optimize bat weight and help control performance. The 2018 CF Zen is available in five sizes from 30 inches to 34 inches in length. The Batted Ball Coefficient of Restitution (BBCOR) standard measures how fast a ball will leave an alloy or composite bat after it has made contact. When aluminum bats were first introduced to play, it was found that the ball can fly off these bats a lot faster than even their best wood baseball bat counterparts, and so the National Federation of State High School Associations and the National Collegiate Athletic Association put together a standard in 2010 that all High School and College teams are required to follow. BBCOR is determined by a few criteria that all bats, including drop 3 bats (including others like drop 5 bats) must follow to be certified. The length of the bat cannot be more than 36 inches. This standard is followed by all NCAA and sanctioned high school games that use composite or alloy bats, and each bat must be BBCOR certified to be eligible for games. 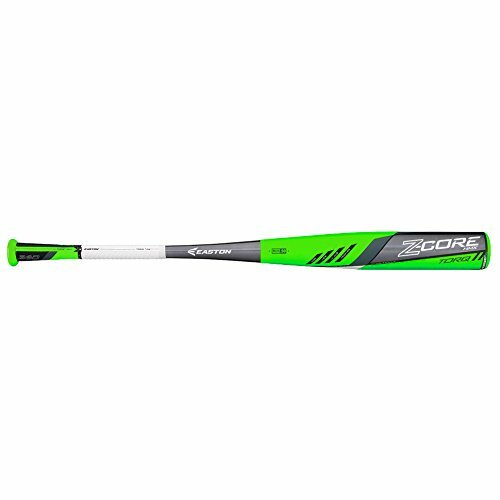 There are also certain youth leagues that require BBCOR bats and so it is best to check with your coach before you go out and begin buying your drop 3 bats for games. One piece wooden bats are not required to be BBCOR certified, but they still must meet any length and weight requirements for each league. Much of the Easton line of their best drop 3 bats mention their swing weight, and it is printed right onto a lot of their bats, so you know exactly the swing weight of that particular bat. But what is swing weight and what does it have to do with MOI when looking at drop 3 bats? MOI stands for Moment of Inertia and is essentially the same thing as swing weight only Easton has created their own name for it. This number is used to tell a consumer how heavy or how light each bat is to swing. A low swing weight or MOI will be an easier swing, and a higher number will be a harder swing. This is important to know as each player is different and will have their own attributes when it comes to their swing. A power hitter that has more upper body strength can bat with a higher swing weight for that huge crack when the ball connects with the bat. With a lower swing weight, you can get a much faster swing in there that will give great connection with the ball. Swing weight is as much about control as it is about power. A batter needs to be able to have full control over the bat as they are swinging through the zone for those perfect hits on the sweet spot to really get that pop. A batter just swinging wildly because their bat is too heavy or too light can be as much a danger to themselves as they are to the players around them. A good hit is as much in control as it is under power. As a bat becomes longer, the swing weight tends to get higher as well so be sure when you are shopping for the best drop 3 bats to be sure you are getting a bat that is the right length as well as the right MOI for each player. As with any purchase, be sure to do your research beforehand. We have put together a great list of amazing drop 3 bats for the 2019 season and beyond that you can choose from but be sure you talk with your coach before going out and spending a lot of money on a bat. Your coach will be able to give you advice about bat length and what kind of swing weight you should be considering when looking for that perfect drop 3 bat. What’s the Best BBCOR Bat for 2015? What Exactly is a BBCOR Bat?